The poll by Siena College and Time Warner Cable News, released Monday night, found Akshar ahead of Fiala 59 percent to 31 percent, with 9 percent undecided or naming another candidate. It surveyed 535 likely voters by telephone between Sept. 21 and Sept. 24. It has a margin of error of plus or minus 4.5 points. The poll found that the issue most on respondents’ minds was jobs, with 32 percent naming that as the most important issue for a new senator to work on in Albany. Education followed at 20 percent, state taxes at 13 percent and fighting corruption at 11 percent. On each of those issues, respondents favored Akshar. Fifty-two percent said he would do a better job on jobs, compared with 30 percent for Fiala. He led on education 49-35 percent, state taxes 54-27 percent and fighting corruption 60-23 percent. Akshar was viewed favorably by 53 percent of all respondents and unfavorably by 17 percent. His favorability rating cut across all party identifications, from a high of 65 percent among Republicans to a low of 37 percent among Democrats — of those respondents, 31 percent said they viewed him unfavorably. Overall, Fiala was viewed favorably by 32 percent and unfavorably by 53 percent of all respondents. Just over half of Democrats said they viewed her favorably. Akshar, though, struggled more with recognition. Nearly a third of respondents said they either didn’t know how they thought of him or had no opinion, while only 16 percent said the same about Fiala. In an emailed statement from his campaign, Akshar said the poll showed likely voters were responding to "the need for a strong, energetic voice" for jobs and the Southern Tier economy. Kara Grippen, a spokeswoman for Fiala’s campaign, said the poll was not a surprise, and that voters "are just starting to get to know the real Fred Akshar." "The only numbers we care about are the numbers Nov. 3," she said. "We know we’re being outspent 3-to-1, so the numbers didn’t come as a huge shock." 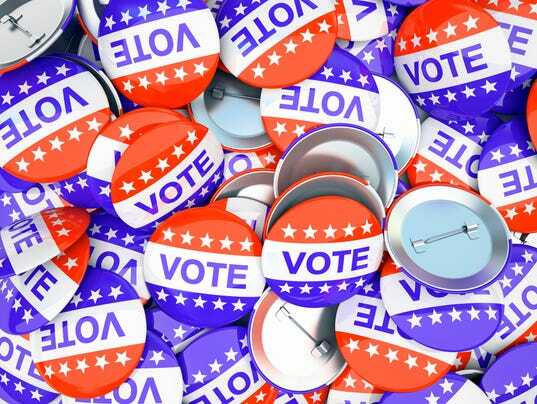 About 67 percent of respondents were from Broome County, which contains nearly 68 percent of the district’s 162,600 active registered voters, according to the state board of elections. The poll’s respondents self-identified their political affiliation, with 35 percent identifying as Democrats, 42 percent as Republicans and 19 percent as independents. Those proportions track closely with state board of elections party enrollment figures. Districtwide, about 39 percent of voters are registered Republicans and 33 percent Democrats. The margin is more narrow in Broome, with a 37-36 split in the GOP’s favor. About a fifth of registered voters throughout the 52nd list no party affiliation. Fiala, 71, was Broome County Executive from 2005 to 2011 and served as commissioner of the state Department of Motor Vehicles from 2011 until 2014. Akshar, 36, is a 13-year veteran of the Broome County Sheriff’s Office and was appointed undersheriff in May. He is former secretary of the Broome County Republican Party and a 2000 graduate of SUNY Broome. The senate seat was vacated when 14-term Sen. Thomas W. Libous was convicted of a felony July 22.